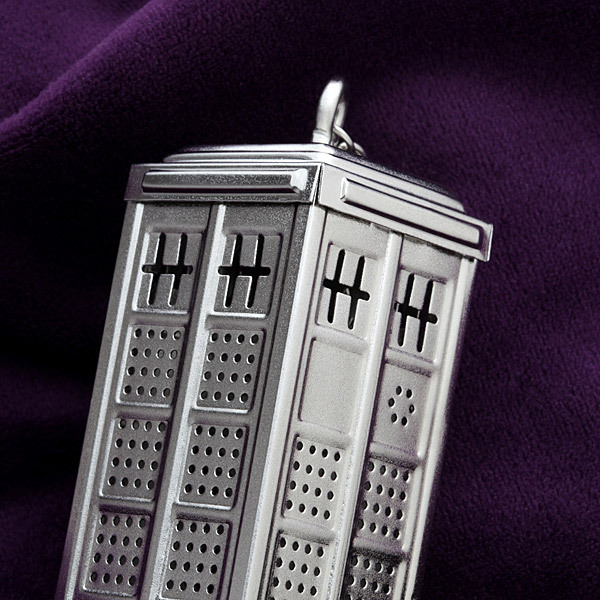 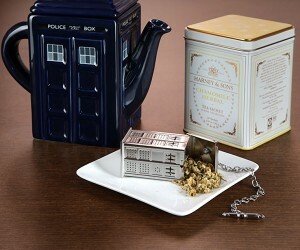 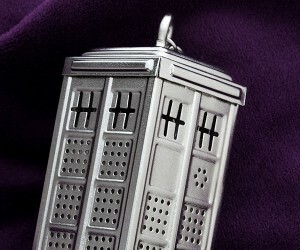 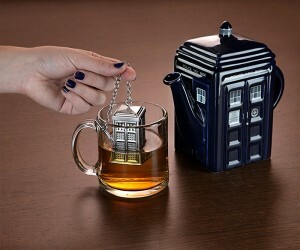 This officially licensed TARDIS tea infuser is exclusive to ThinkGeek. The stainless steel and zinc alloy infuser stands 3″ tall and is 1.25″ across. 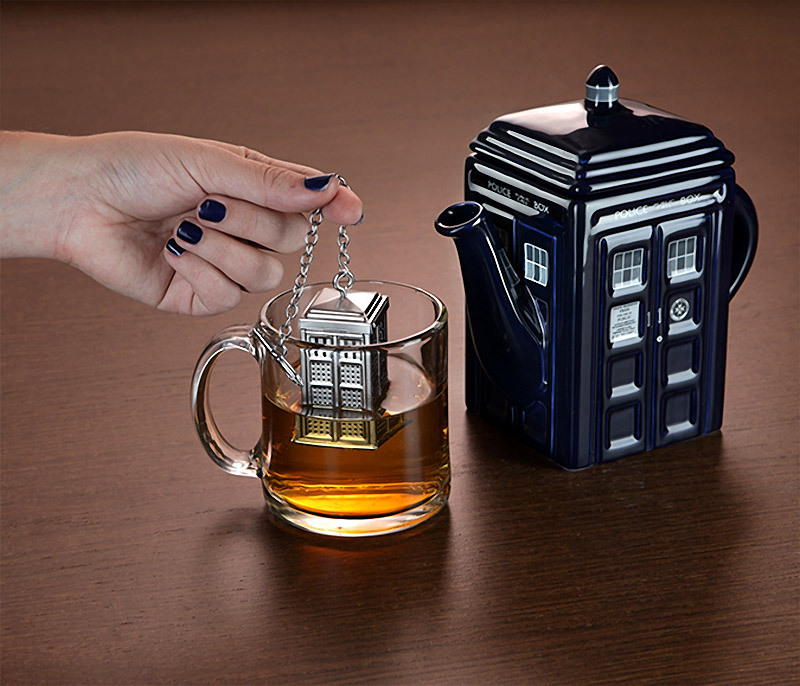 It comes with a 5.5″ chain for all your tea brewing needs.